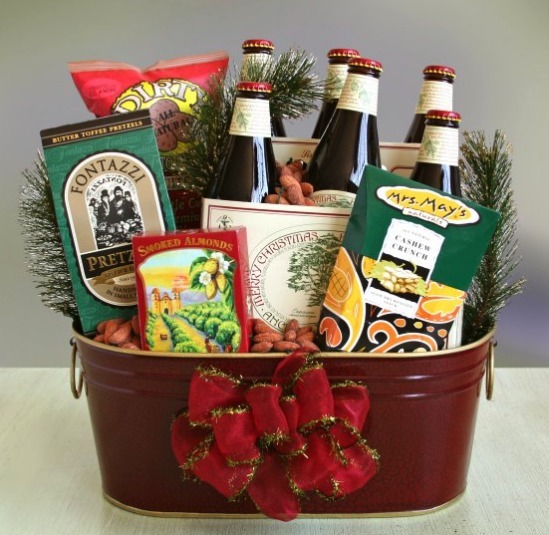 Hayneedle has expertly crafted gift baskets for any occasion. From Starbucks themes to new baby girl themes, this company has your covered. 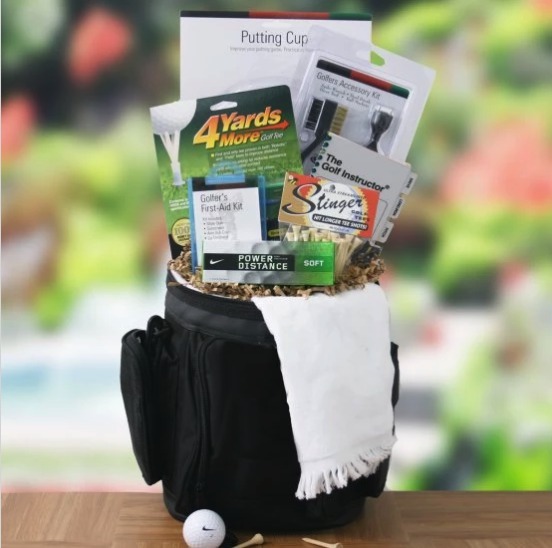 GiftBaskets.com – now incorporated into Hayneedle – was created to be an online retailer that specializes in supply chain retail for gift basket companies. 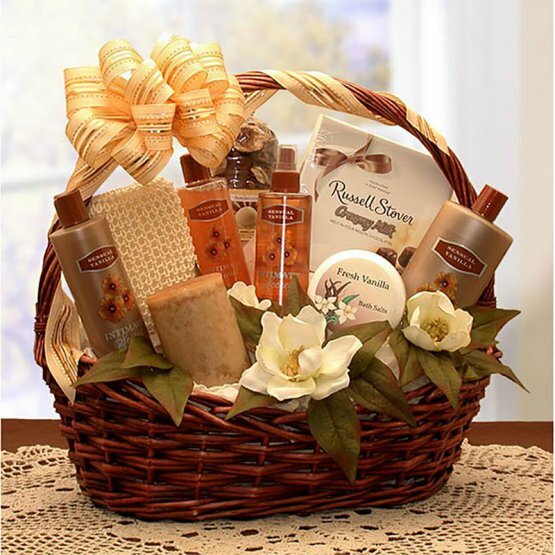 They do not create their own baskets; instead, they offer a variety of baskets from other gift basket companies on a single site. This provides shoppers with larger selections and even access to deep discounts on shipping. A well known merchant that offers a large selection of online gift basket options. There is a large variety of gift basket options available through Hayneedle. They cover just about every type of basket – from spa gifts to wine gifts to gourmet food and even coffee. Because they are a third-party retailer, they have a larger selection than most companies can boast, but they don’t cover areas like pet baskets. They have cheese, beauty, bakery, assortments, fruits, snacks and candies, Kosher, gourmet and fruit baskets too. Some brands you can expect to find in their baskets include Cheryl’s Cookies, California Delicious, Starbucks, Tate’s Bake Shop, Torn Ranch, Nikkis, Mrs. Fields and Godiva. Because GiftBaskets.com was a third party retailer, they cannot offer the same customization options as you would see if you went to the source direct. They are not flexible about swapping out products and you cannot add on any custom ribbons or even design your basket from scratch. There’s no add-on features at all for their baskets. Hayneedle does offer all of the themes and sentiments you would expect for a gift basket retailer. Just some of the occasions they cover include get well, care packages, house warming, congratulations, anniversary, birthday, sympathy, wedding, and thank you. They also cover all major holidays. When it comes to specialty, they do have sugar-free, Kosher and gluten-free gifts, but they do not carry vegan baskets at this time. While they do offer corporate gifts, they don’t go as far as to make it special for corporate buyers. There are no corporate ordering discounts, they don’t offer special bulk ordering nor do they have a team dedicated to corporate orders. Because they are a third-party retailer, they are severely limited on corporate options – which could be a big turn off for those that want to customize or even add branding to their baskets. Prices are better with HayNeedle, but that is because they are able to negotiate better pricing deals through other retailers. Therefore, you may actually find a basket with them cheaper than the original retailer. Most of their baskets fall between $40 and $200 – but they also have some priced over $200. Most of the baskets offered on Hayneedle (as long as they price out at over $50) are shipped for free using their economy shipping service. Baskets that fall under $50 will be charged $6.99 for the economy shipping. All of their prices are via FedEx. They offer overnight shipping and expedited shipping as well if you need the basket a little sooner. While it is overnight shipping, the basket may not actually arrive overnight because they need to send the order through their retailer. They cannot ship wine or alcoholic baskets to states that do not already allow the import of wines and spirits – which is something all gift basket companies adhere to. They do ship internationally as well as to APO/FPO addresses, but they will require one to two-day service and additional fees can apply. All of the products online are shown as they are offered by the original retailer. But, there are a lot of negative reviews on their site from customers that have ordered these baskets only to receive something with less products or something that doesn’t even resemble what was shown online – this is a common problem when you shop with a third-party and could be a drawback depending on how often it truly happens. You can add a gift message with your gift basket when you order, which offers a small layer of customization. Hayneedle does offer a return and exchange program. All new, unused or resalable items can be returned for exchange or refund within 30 days of receipt. If an item was received that is not up to quality, they will replace or refund that item without you having to return it. There are some exclusions in their policy and the exclusions are based upon the product ordered rather than featuring a companywide policy, which means if you order through them, read the exclusions carefully on the product you’re ordering. There is no dedicated FAQs section and the information they have is very limited. Contacting customer service requires you to call their 1-800 number or contact online. They have limited hours of 8am to 10pm EST on Monday – Friday and 10am to 6pm on Saturdays. They are closed Sundays. There is no live chat option at this time either. Hayneedle is accredited through Hayneedle, Inc. instead of their own name. They do carry an A+ rating on the BBB and have been accredited since 2002. That being said, they have multiple complaints for sending baskets that do not contain the products pictured or even look like the baskets pictured. This is probably because they are a third-party retailer and they outsource the baskets from the original retailer – leading to some order discrepancies. Free shipping on most baskets over $50. Under $50 – There are quite a few baskets under $50, including those with small gourmet snacks, cookie baskets, new baby baskets, candy baskets, and sports-themed baskets. $50 to $100 – Baskets in this price range can include wine – up to two bottles for some. They also have gourmet gifts, game night baskets, fruit baskets, spa gifts and a lot more new baby and special occasion gifts to choose from. Most of the baskets are in this price range. $100 to $200 – There aren’t as many baskets in this range, but those that are include more wine gifts, larger assortments of food products, and jumbo-sized cookie and brownie baskets. $200 and up – The few baskets in this range include larger new baby gift baskets, wine baskets with up to four bottles and tons of snacks and grand food baskets with more than 12 items. Hayneedle is ideal for those that want maximum variety in one spot. Shoppers that want to see gift baskets from other sites could benefit from using Hayneedle – because they offer a combined site. Corporate buyers, however, may feel that their limitations for corporate gifts aren’t worth it; therefore, we say Hayneedle is ideal for the consumer. We really enjoy the free shipping – Hayneedle is one of the few to offer free shipping on all baskets over $50. We also like that most of their baskets range between $50 and $100 – rare for gift basket merchants for sure. We like that they are able to offer so much variety too. The site could really use a dedicated FAQs page or somewhere to make it easier for people to find answers to their questions. Also, with a lot of complaints regarding the actual products delivered, we hope Hayneedle can fix this in the future. We don’t like that some return policies apply to specific baskets and that customers would have to research the refund policy for their product only. We really hope that in the future they also offer more corporate options or customization. While they are a great place to shop, their limitations on these two categories can significantly limit how many people could shop here. Free shipping and big selection. Hayneedle offers free shipping and maximum variety of gift baskets for almost every occasion - as well as non-edible baskets. Under $50 - There are quite a few baskets under $50, including those with small gourmet snacks, cookie baskets, new baby baskets, candy baskets, and sports-themed baskets. $50 to $100 - Baskets in this price range can include wine - up to two bottles for some. They also have gourmet gifts, game night baskets, fruit baskets, spa gifts and a lot more new baby and special occasion gifts to choose from. Most of the baskets are in this price range. $100 to $200 - There aren’t as many baskets in this range, but those that are include more wine gifts, larger assortments of food products, and jumbo-sized cookie and brownie baskets. $200 and up - The few baskets in this range include larger new baby gift baskets, wine baskets with up to four bottles and tons of snacks and grand food baskets with more than 12 items.